Fear is an emotion that every human being has felt. Physiological and normal reactions of fear include: increased heartbeat, sweaty hands, greater than normal energy load, insomnia, etc. 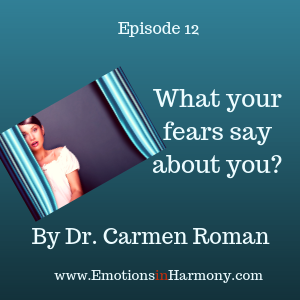 In this episode Dr. Carmen Roman helps us to understand our fears at a deeper level so we can learn from them and, of course, face them with greater success. Previous Post¿Tienes tristeza o depresión?